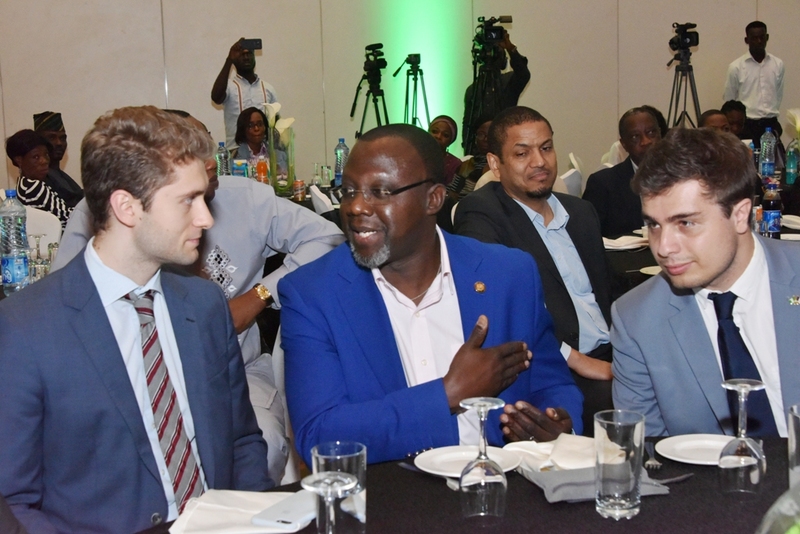 The Lagos State Government has launched a global campaign to play up huge investment opportunities which abound in the state, with the view to turning Lagos into the most desirable investment destination in the world. The State Government, at the media launch of the campaign tagged ‘Lagos To The World (L2W) held at Eko Hotels and Suites, Victoria Island, at the weekend, also unveiled a deal book detailing investment opportunities in key sectors including health, transportation, oil and gas, among others. Speaking at the event which was attended by members of diplomatic missions and the business community, Special Adviser, Lagos State Office of Overseas Affairs and Investment, otherwise known as Lagos Global, Professor Ademola Abass, said the global campaign was an initiative of Governor Akinwunmi Ambode’s administration designed to better market and communicate investment opportunities in the State. Giving details, Abass said in the last three years, the State Government had invested massively in providing infrastructure as well as the enabling environment for businesses to thrive, saying that it became imperative to unpack the State for investors to appreciate the vast opportunities which abound in the State. “Lagos To The World (L2W) is an initiative of Governor Ambode and what informed this is that we felt that all the government has been doing in recent times especially in terms of investment in the last three years should be made known to the world. We felt the world need to know how Lagos has been improving in terms of infrastructural development, in terms of security, roads, energy and so on. “Most of these things are what attract investors but the story is not being told out there and so the whole effort of this is to tell people how Lagos Global has been working to project Lagos more forcefully in terms of investment opportunities in Lagos State,” Abass said. While alluding to how his office had been enhancing ease of doing business and helping investors to set up businesses in the State seamlessly and quicker, Abass said very little was still known out there about the activities of the office, a development he said necessitated the need for the global campaign. “What we found out is that very little is known about Lagos State out there and we thought it is high time we began to more forcefully push Lagos narrative overseas. Today is about unpacking Lagos; it is about how to move Lagos forward; it is about marketing Lagos and communicating investment opportunities in Lagos to investors both in Nigeria and outside the country,” Abass said. On her part, Commissioner for Commerce, Industry and Cooperatives, Mrs. Olayinka Oladunjoye said by the launch of the campaign, Lagos was simply telling the world that it was ready for business, adding that a lot of incentives had been put in place to encourage investment. “By the launch of this initiative, we want to sell Lagos to the world; we are saying Lagos is ready for business and that we mean business; we are telling the world that doing business in Lagos is the best thing to do; we are telling the world that ease of doing business in Lagos is for us a hallmark; we are telling the world that we are ready for investment. “This is the best destination. Lagos has a brand and that brand is investment friendly. We know in government that government has no business in business, we only need investors to promote business in Lagos State and when businesses are promoted, you can be sure that we would get more money; when businesses are promoted, people will get work to do; when businesses are promoted, our ranking on the ease of doing business will improve and then we can talk about index of doing business in the state,” Oladunjoye said. Alluding to investment opportunities at the Lekki Free Trade Zone in Ibeju-Lekki area of the State, Oladunjoye said aside the multi-billion dollar investment by the Dangote Group, a Deep Seaport, International Airport and Intermodal Transport Network for seamless movement of goods and services were being worked on, while the State Government was already developing enterprise zone, small scale industrial estate and light industrial parks across the State. Also speaking, Commissioner for Special Duties and Intergovernmental Relations, Mr. Seye Oladejo said the State Government, in the last three years, had massively invested in security and safety of lives, adding that investors should be rest assured of safety and comfort in the state. “The main thrust of any government is to ensure safety of lives and property and that is a selling point for Lagos State. Since the advent of the present administration of Governor Akinwunmi Ambode, we have paid priority attention to issues bordering on safety and security. “A case in point is the rebranding of the Rapid Response Squad (RRS) of the Lagos Police Command; what we have been able to do in area of emergency response that speaks for itself; capacity building and acquisition of equipment. All these are being deliberately put in place to give investors confidence to know that Lagos is definitely ready for business,” Oladejo said.